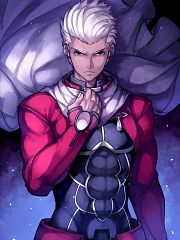 383 anime images in gallery. 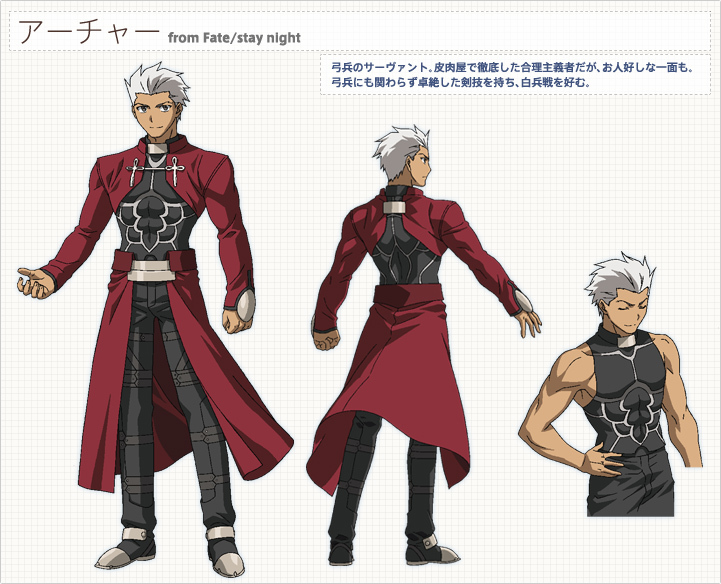 Tagged under Fate/stay night, Fate/EXTRA, Suwabe Junichi and Fate/Grand Order. The Servant of Tohsaka Rin in the 5th Holy Grail War. 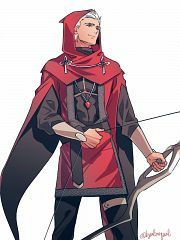 He is well adept in bare-handed fighting, armed combat, Magecraft and even performing housework. Possesses a personality that is thoroughly realistic, but at the same time devoted and even a little childish, to the point that makes him hard to hate. 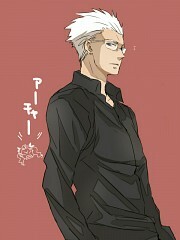 Doesn't lie but does keep secrets. Sarcastic but that is just his way to give advice. 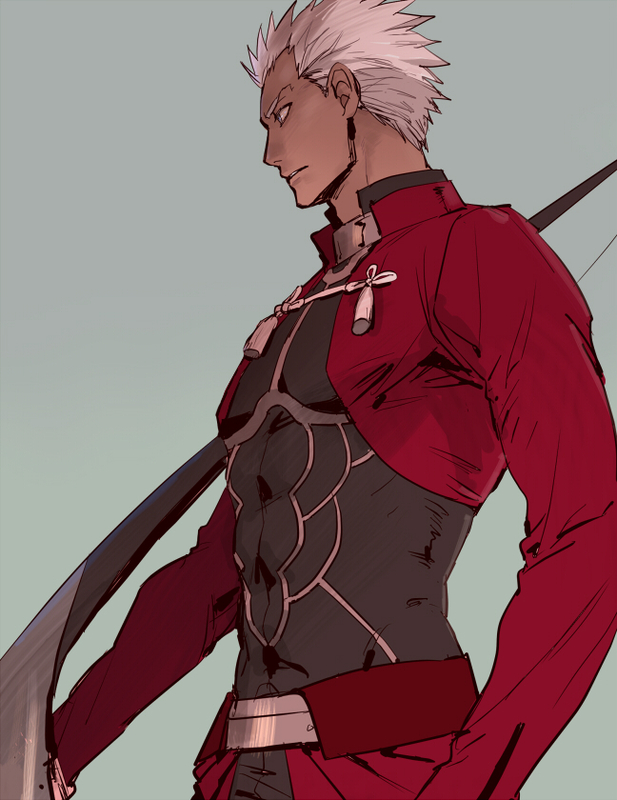 Cannot approve of Emiya Shirou’s ideal of “hero of justice”, but at the same time cannot deny it. 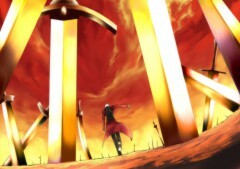 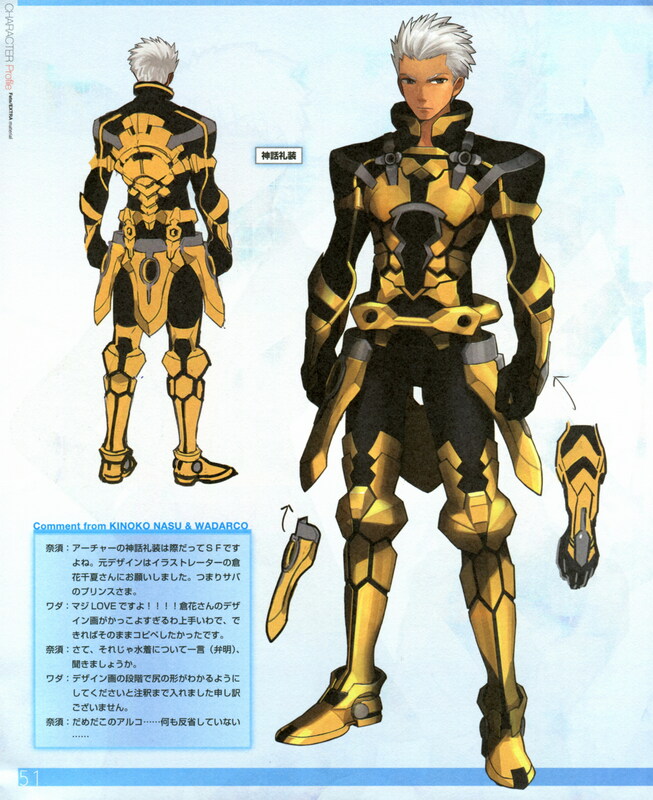 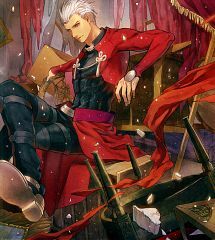 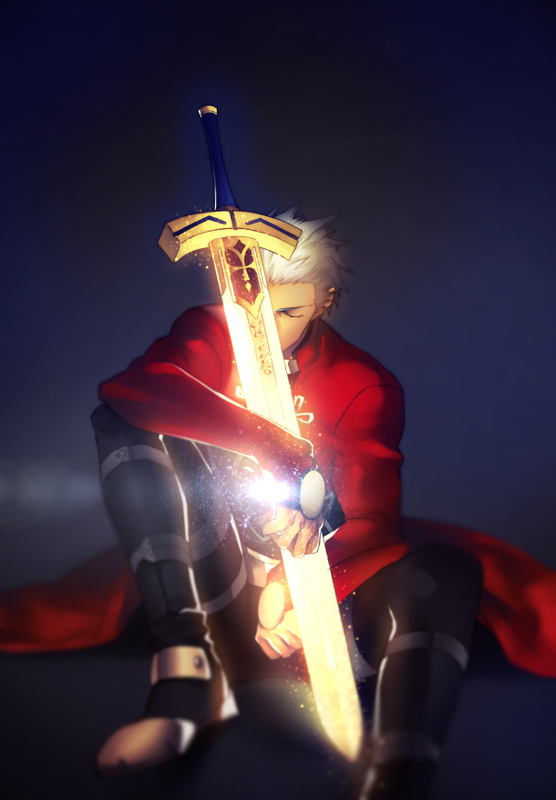 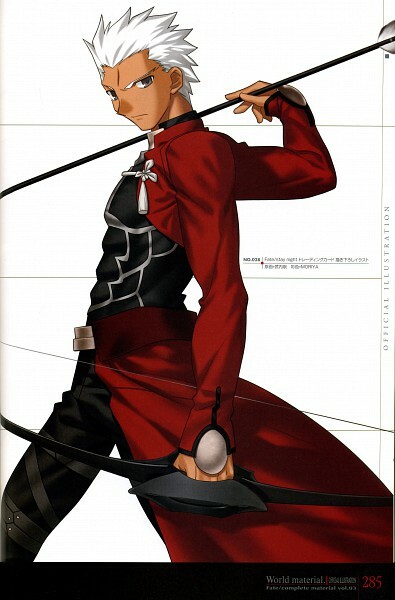 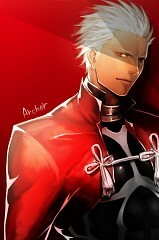 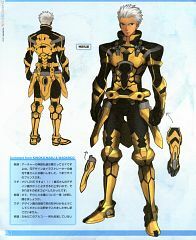 In Fate/extra, Archer is one of the three possible Servants that the Protagonist is able to choose. 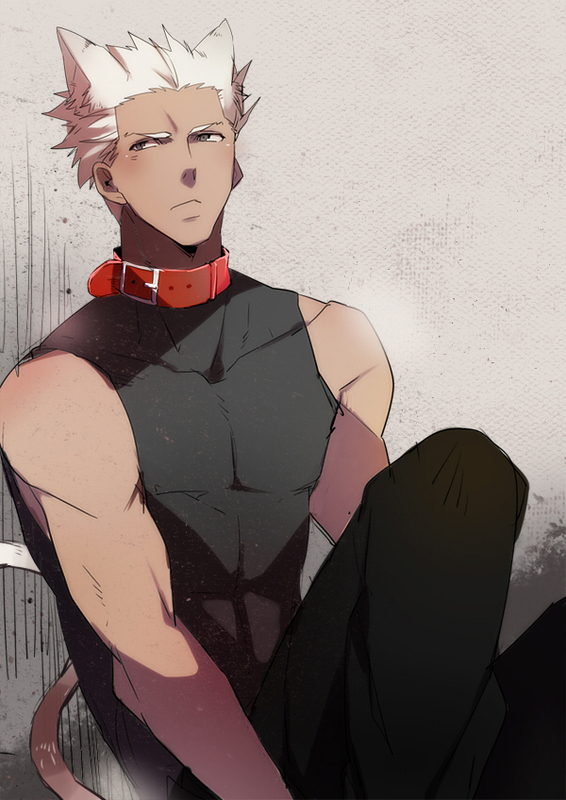 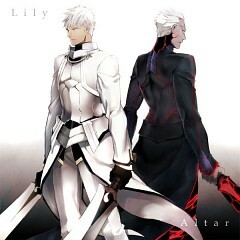 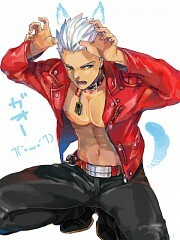 He is the alternate version of the counterpart that appears in Fate/stay night. 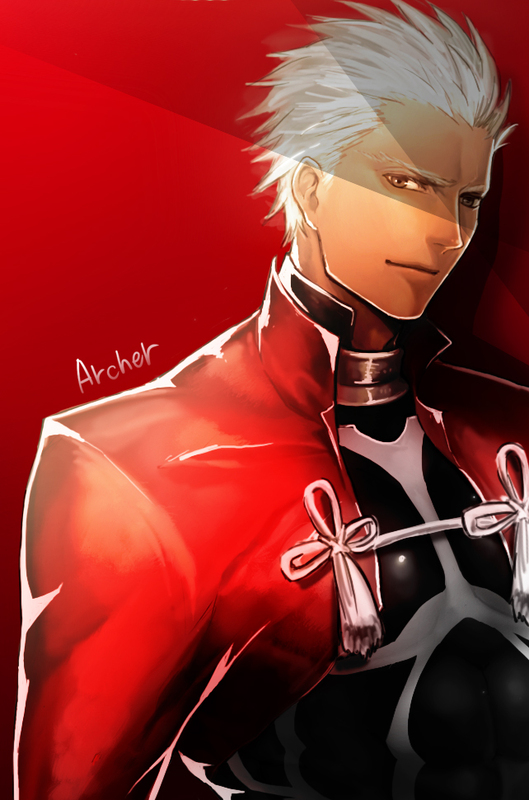 Archer is not a proper Heroic Spirit in the sense of other heroes. 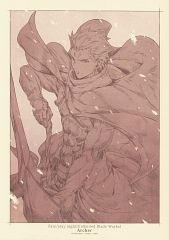 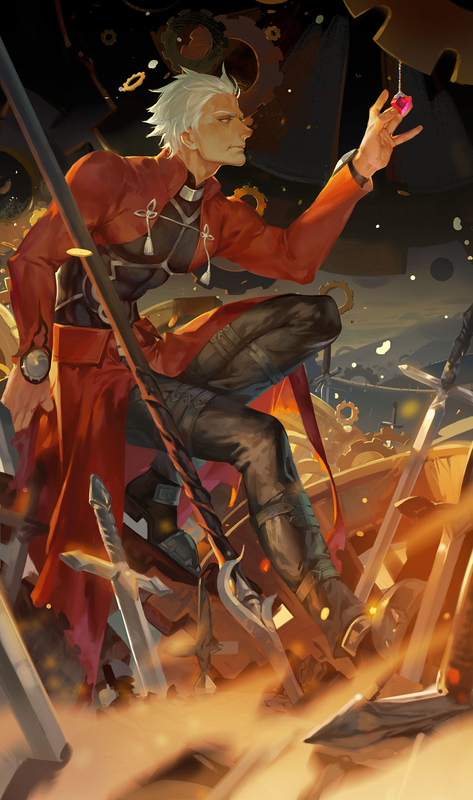 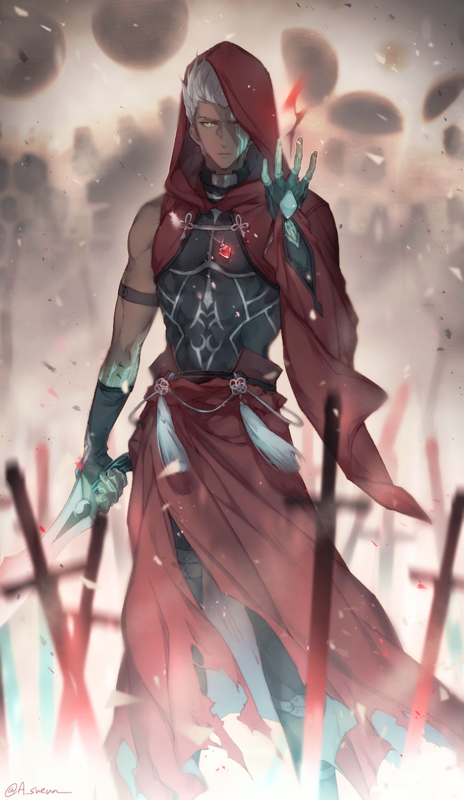 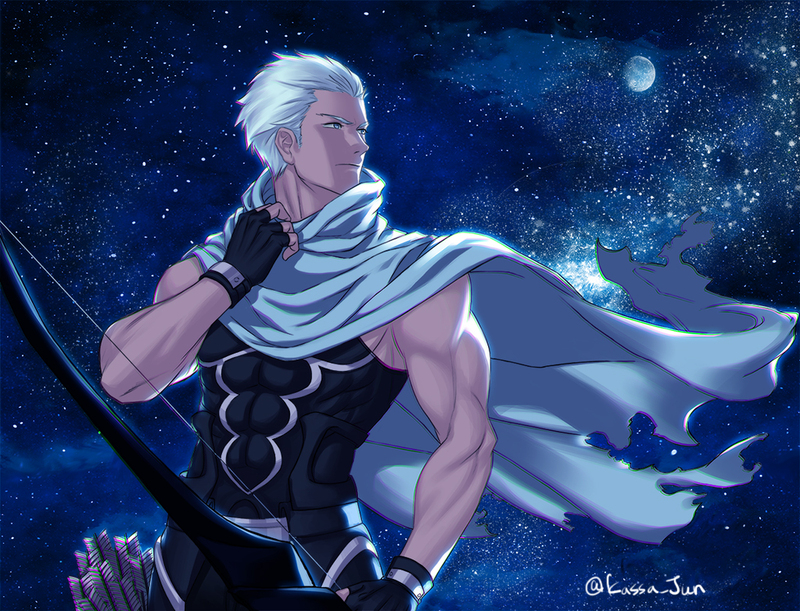 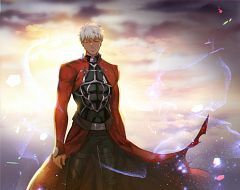 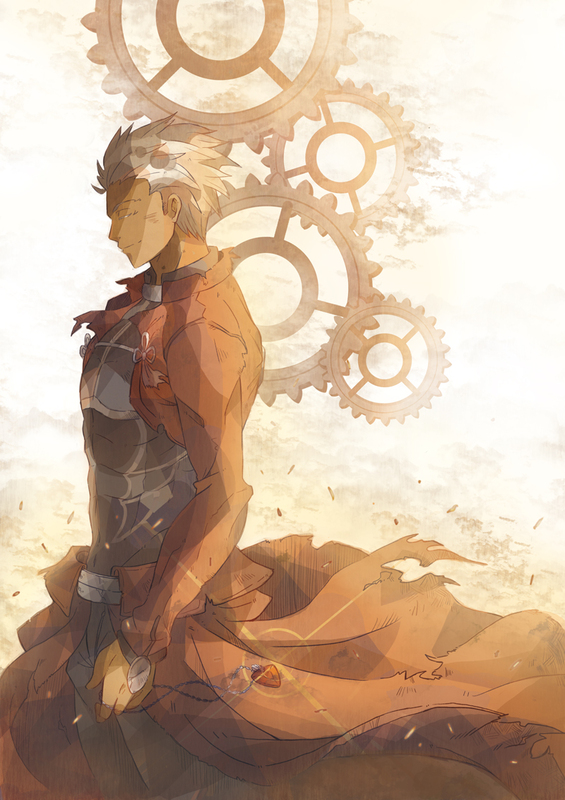 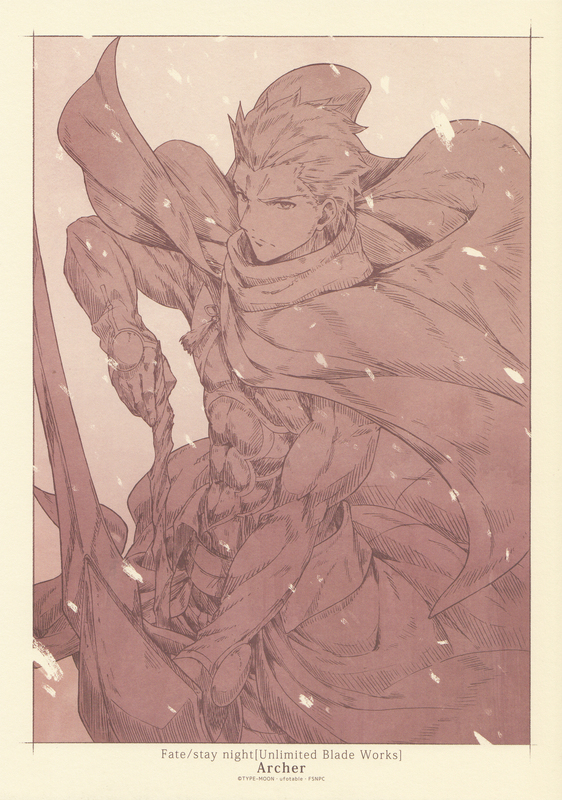 He is Emiya Shirou of an alternate timeline from that of Fate/stay night who made a contract with the world and became the Heroic Spirit EMIYA. 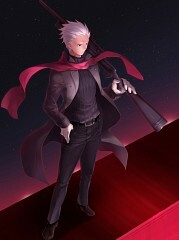 He acts as a Counter Guardian for the world as payment for the contract. 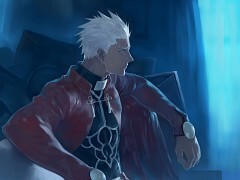 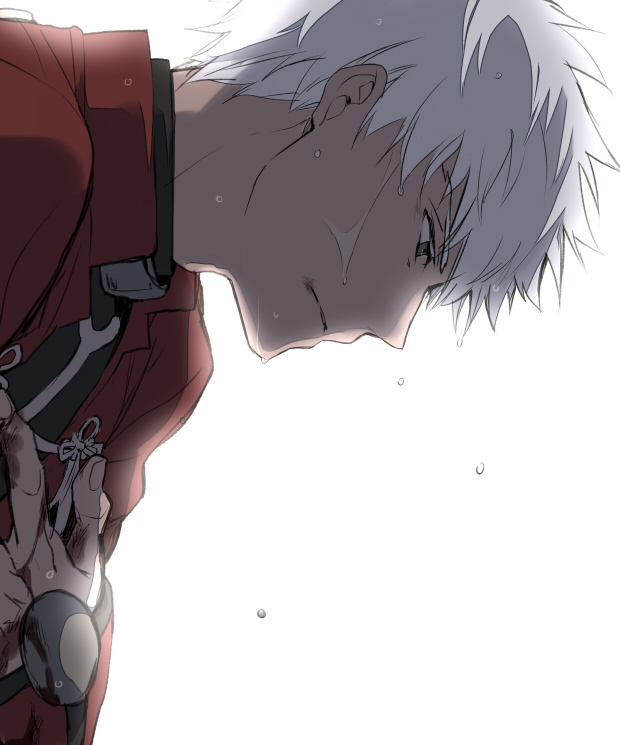 He is summoned because he still has the jewel pendant that Tohsaka Rin used to save his life after Lancer stabbed his heart. The jewel he owns is the actual catalyst used for his summoning rather than the one that Rin still had at the time of his summoning.